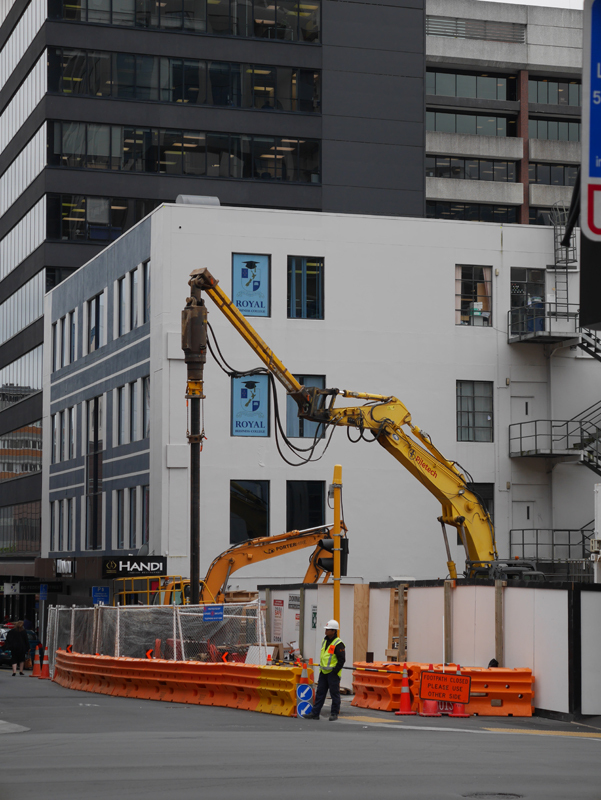 As Auckland’s skyline bustles with numerous tower cranes few people will understand the intricate design dilemmas that need to be balanced with constructability… and sometimes removability! 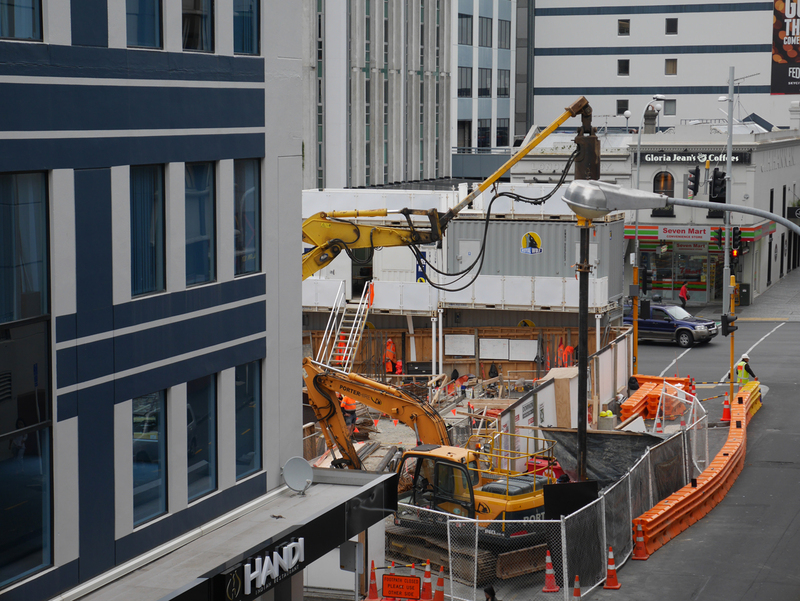 With precise loads and deflection criteria, not just any foundation solution can be used for a tower crane, as Dominion Constructors are familiar. When a pad foundation had insufficient capacity, a piled foundation was required. 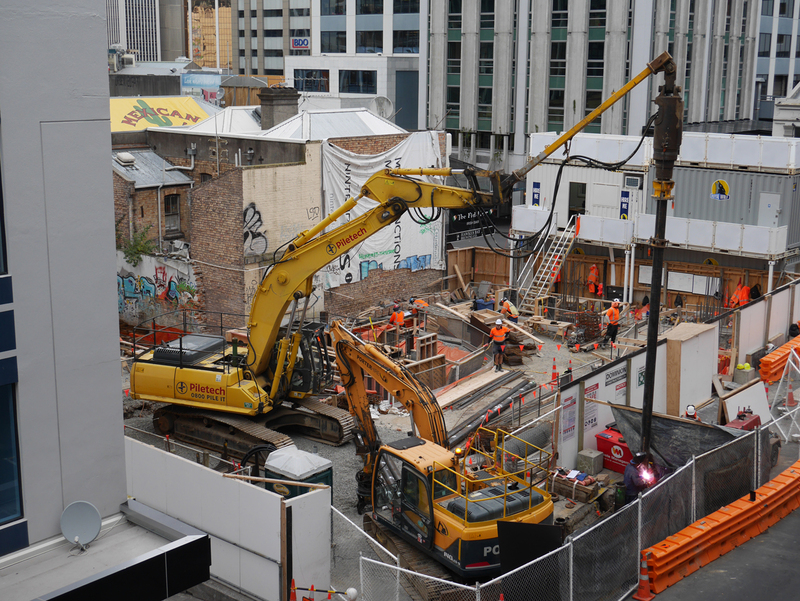 However with the planned route for the City Rail Link running directly below their site, bored piles were not an option as they couldn’t be removed at the end of the project. Having a previous working relationship with Piletech, Dominion turned to Piletech help solve the problem. Piletech designed a significantly loaded screw pile solution to support the crane base which included a unique screw pile connection detail. 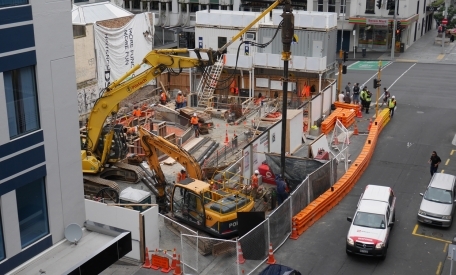 The connection eliminated any need for concrete curing, and allowed Dominion to immediately erect the tower crane once the piling was complete – and get a jump on their programme. 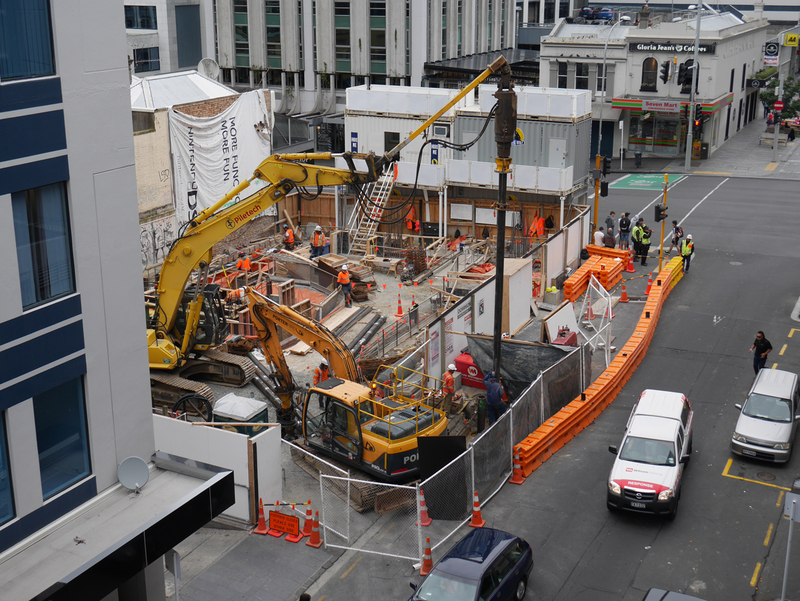 Further the screw piles could be removed with plant sitting on the footpath, and within a tight traffic management configuration at a later date.